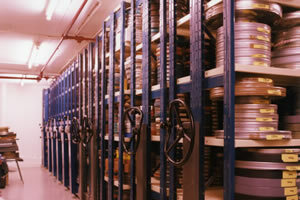 The IFI Irish Film Archive seeks to appoint a Moving Image Access Officer. Purpose of job: The IFI Irish Film Archive is guardian of the national moving image collection, one of the core aims of the Archive is to provide access to the material it holds; in addition to screening and publishing material from the collections, one of the most important ways it shares its collections is by making them available for study, research and to be utilised in new works. The Moving Image Access Officer plays a crucial role in facilitating physical and intellectual access to the moving image collections and in mediating use by researchers, students, programme makers and other members of the public. The Access Officer is the main point of contact for anyone accessing the moving image collections and facilitates access to them while taking copyright and preservation issues into consideration. Assisting with other access-related activities when required. The successful candidate will be highly motivated with outstanding interpersonal skills. Candidate will be flexible and will be able to work as part of a small team or under own their initiative. They will have excellent administration and organisational skills, will be able to work under pressure and to meet strict deadlines. They will have experience of dealing with rights clearance and third party use of intellectual property. A working knowledge of Final Cut Pro and experience of working with a variety of digital tape and file formats would be a distinct advantage. An interest and knowledge of indigenous Irish film and television production would be preferable. All applications should be made by email – Subject line Access Officer, with a covering letter and curriculum vitae to jobs@irishfilm.ie by 12.00pm Monday 16th July. Applications received after this deadline will not be considered.